A popular challenge for several years now here on Susie. The retirement of Sir Alex Ferguson in 2013 from football after 27 years at the helm at Old Trafford. Many supporters had never known another United manager and most agree that there will never be another quite like Fergie. The real life successors David Moyes and later Loius Van Gaal have struggled in the unenviable task of succeeding the most successful manager in British football history. are you the one to pick up the torch? succeeding the most successful manager in British football history. The Easy Way: - Start with Manchester United and rediscover the Red Devils's dominance of English football for another quarter of a century. The Moderate Way: - Begin with a mid table English club who haven't won a league title in over 25 years and turn them into world beaters, developing several generations of new superstars along the way. 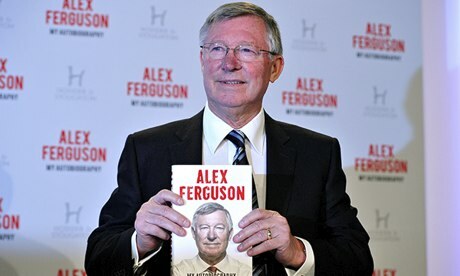 The Fergie Way: - Beginning in the Scottish Championship, take charge of any side for a season (SAF started at East Stirlingshire) You do not need to win a trophy here, eventually move on to a bigger Championship club (SAF: St. Mirren) and guide them to promotion. Eventually take over at an SPL side that is not a part of the Old Firm (SAF: Aberdeen), emulating the great man here will be the toughest part of the challenge, particularly in Europe (You'll be going for the Europa League instead of the now defunct Cup winners cup) Finally, after checking of Scotland you can move South of the border, taking on a fallen giant side from the Premiership (SAF: Manchester United) and guiding them to the staggering haul of silverware that Mr. Ferguson has amassed in his 27 years. -Start with professional footballer set as your experience level. -You may manage the Scottish national side during the course of your career as Sir Alex did briefly. -Remember, Fergie's rule #1, No player is bigger than the club! if some prima donna starts acting up, give him the boot. 40 points - Have a player who you have brought through your academy finish highest scorer in your league. 75 points - Manager of the year award. 5 points - Pick up a touch line ban for criticising the referee but still win your game in the stands. 150 points - Enter Worldwide hall of fame. 150 points - If playing as a side other than Man United, surpass United's record 20 league titles. Just fired this up, my first venture will be little Dumbarton, predicted to be in for a tough campaign with media expectation of an 8th placed finish, see how this goes but I suspect it will fall flat on it's face pretty quickly. I'll update with my progress. EDIT - Had a torrid start at Dumbarton and really not feeling it so i've turned my attention to the Pentagon, may come back to this later. Fired this challenge up. Selected Livingston predicted 9th place so it is going to be a tough season.